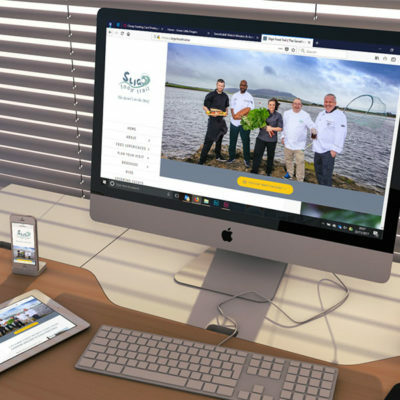 The initial phrase was October 2015 to April 2016 to create a brand and visual identity for the Sligo Food Trail with printed promotional material and an online presence in the form of a website and social media accounts. This was followed by two further phrases up to 2018. The project progressed, Marie Brouder became project co-ordinator of the Sligo Food Trail. Management of social media accounts (Twitter, Instagram and Facebook), blogging, graphic design, website maintenance, PR and event management. Oversee and liaise with sub contractors involved in the project: Lesley Emerson, PR West, Caroline Clancy, Pink Lime Video Productions in addition to hotels, restaurants and cafe for event locations, photographs and printers. We also acted as point of contact for the following agencies Food Writers and Magazines, Failte Ireland, Sligo Tourism, Sligo County Council and Sligo BIDS. 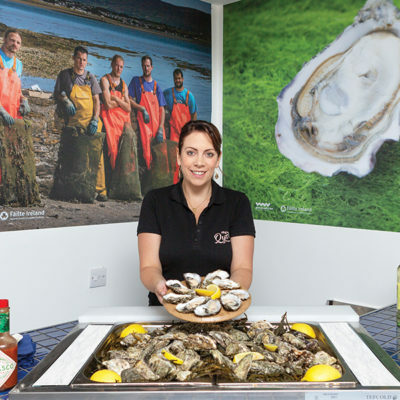 Development and implementation of 3-year marketing and action plan (2015 – 2018) for Sligo Food Trail with CEDRA funding and supported by Failte Ireland and Sligo Tourism. Sligo Food Trail is featured on a new Expedia website showcasing some of the best driving holidays in Ireland. Design of a comprehensive 32-page booklet, promotional material, four videos, Sligo Food Trail attracting over 2k visitors to the website per month and actively promoted on social media using the #SligoFoodTrail. Reprinted 5,000 brochure: adding new members, updating the map and including two pages of additional experiences. Members are actively using the social media channels and website to promote their experiences, courses, changes in menu, increase brand awareness about their offers and business. They are also using the #SligoFoodTrail on their tweets and posts. The trail has cemented Sligo as a home of artisan producers, quality food and excellent visitor led food and cultural experiences. © Copyright 2018 Brouder Marketing. All Rights Reserved. Get In Touch 087-9045134.